A delegation consisting of representatives of at least four Tamil political parties is scheduled to head for Geneva to lobby the United Nations Human Rights Council (UNHRC) for an international mechanism to speed up investigations into alleged human rights violations and accountability issues. The delegation would also request the appointment of a UN Rapporteur for Sri Lanka, a top Tamil politician said, yesterday. “Representatives of the ITAK, TELO, TULF, EPRLF and PLOTE attended a two-hour meeting at a hotel in Jaffna, from 11.00 am, yesterday, to agree on submissions to be made to the UNHRC and the second and final round of our talks will be held within the next few days,” former Northern Provincial Council member and TELO spokesman M. K. Sivajilingam said. 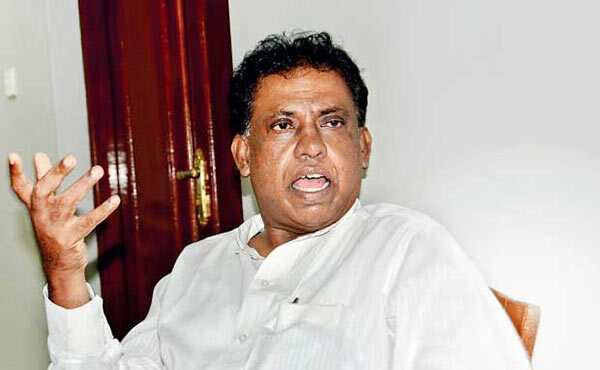 Sivajilingam told The Island that all those present at Saturday’s meeting had said they had no faith in President Maithripala Sirisena and Prime Minister Ranil Wickremesinghe. “We’ll seek redress through an international judicial process, and we would first request the appointment of a UN Rapporteur for Sri Lanka,” the TELO spokesman added. Last week former Chief Minister of the Northern Province, C. V. Wigneswaran said that a UN office must be established in the North to probe wartime disappearances and human rights abuses. Wigneswaran said that President Sirisena had publicly stated that he had no intention of implementing the recommendations of the UNHRC regarding alleged human rights violations. “Given this situation, the UN must decide whether there is any point in giving Sri Lanka another extension to fulfil its promises.